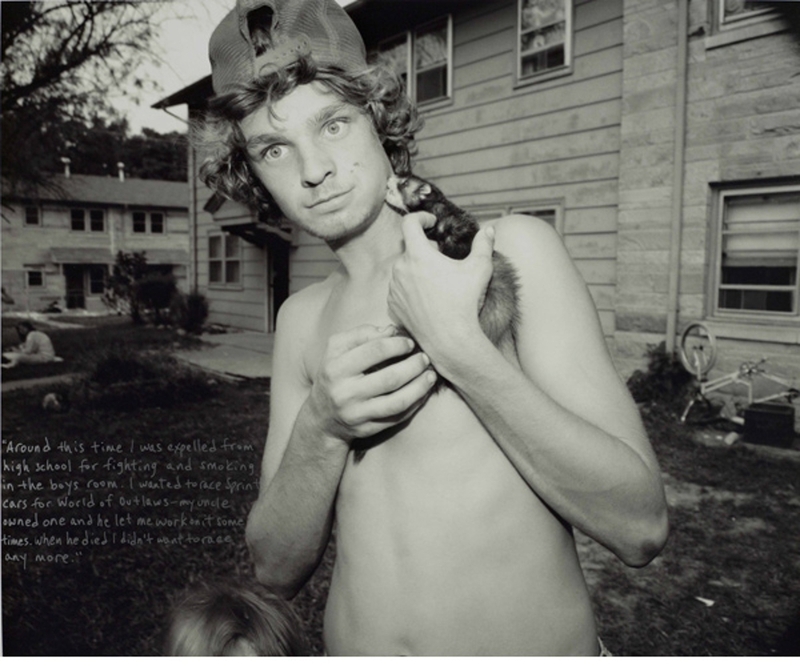 Jeffrey Wolin began photographing Pigeon Hill–known simply as “the hill” to its residents at the Crestmont Housing Project in Bloomington, Indiana–after reading about the grisly murder of resident and former Indiana University graduate student Ellen Marks. Pigeon Hill, a mere five blocks wide and three blocks deep on the west side of Bloomington, was long known for its dangerous reputation of being an area rampant in poverty, crime, and substance abuse. 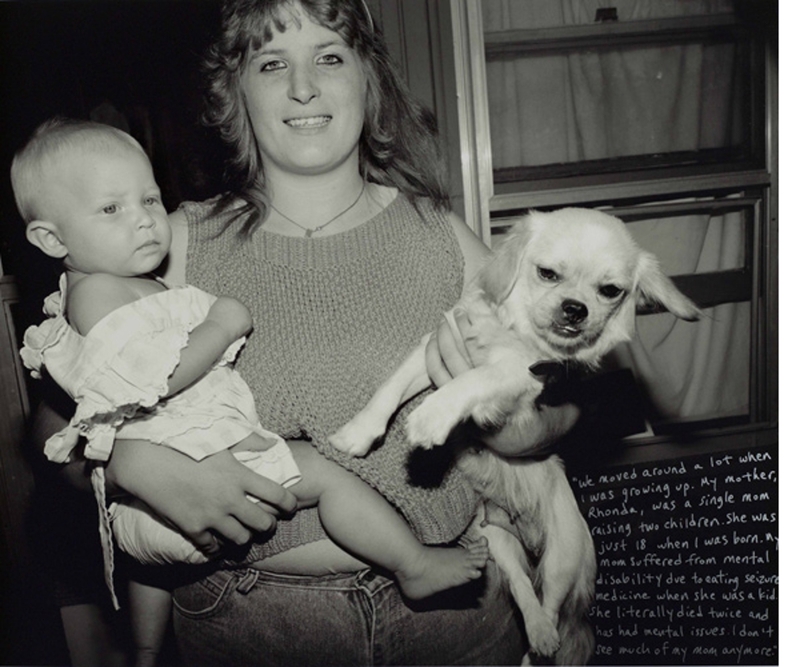 Through slowly gaining the trust of the community, and with help from a Guggenheim Fellowship, Wolin photographed individuals and families that lived in the area from 1987-1991, when a conversation on welfare reform was simultaneously under way. 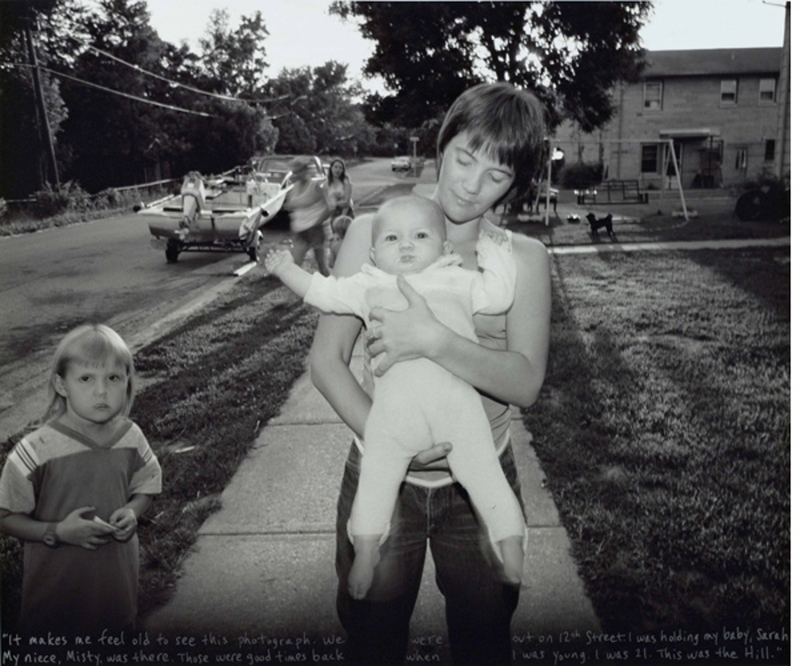 After recognizing a woman he photographed on Pigeon Hill in a story about her murder on the front page of Bloomington’s local paper in 2010, Wolin began thinking about what happened to the other residents he photographed 19 years earlier. 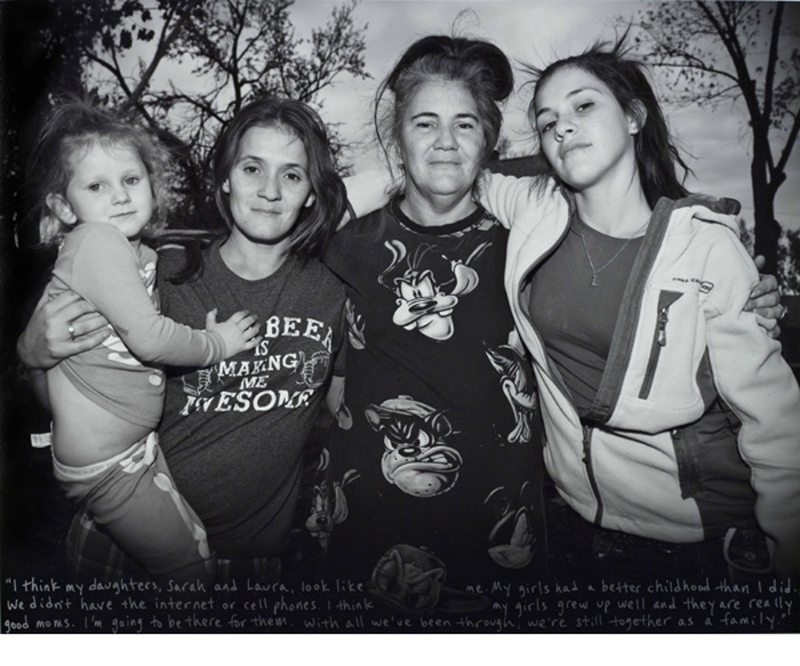 Pigeon Hill: Then and Now (2011-2013) chronicles Wolin’s project of revisiting and re-photographing these individuals whose life stories he has handwritten on the images, a technique Wolin has used throughout his career. 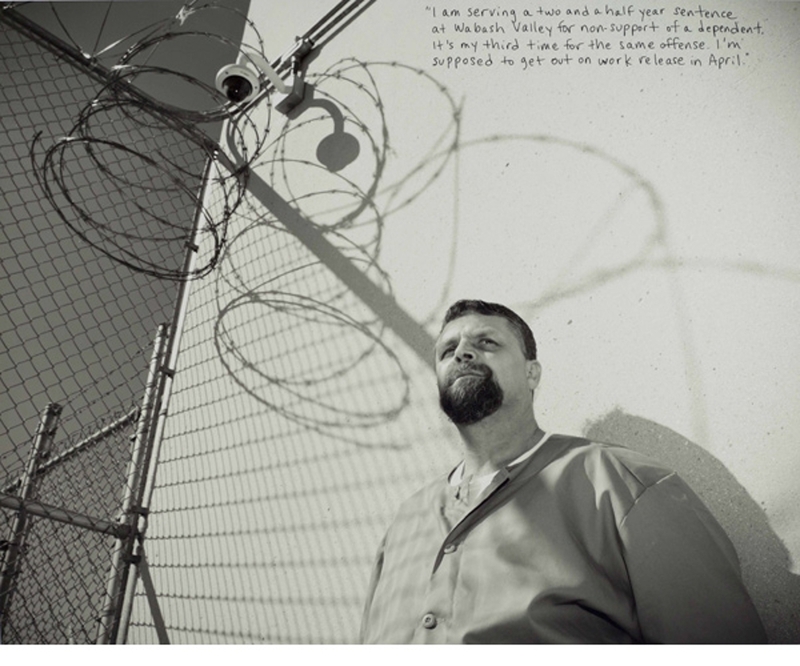 In the 26 years since Wolin began his Pigeon Hill project, some of his subjects have become caught in a cycle of crime and delinquency, such as Timmy (Timothy Babbs, Wabash Valley Correctional Facility, 2012) others remark on improvements in their lives and reflect on the plans they had as children to escape Pigeon Hill in hopes of something better. 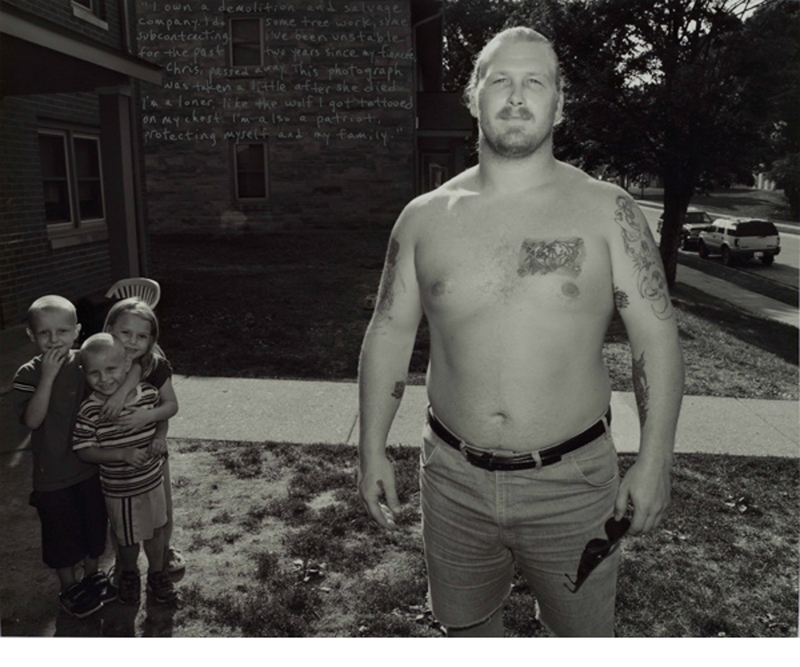 Jeffrey Wolin completed his MFA from the Rochester Institute of Technology, Rochester, New York (1977) and a BA from Kenyon College, Gambier, Ohio (1972). After college, he worked as a forensic photographer in Kalamazoo, Michigan for two years. 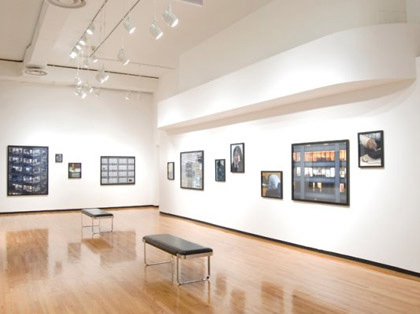 Wolin has had solo exhibitions at Catherine Edelman Gallery (2014); Galerie Bleu du Ciel, Lyon, France (2013); among other national and international venues. He has received two fellowships from the National Endowment for the Arts (1988, 1992) as well as a Guggenheim Fellowship (1991). His work is held in the permanent collections of the Metropolitan Museum of Art, New York; Los Angeles County Museum of Art; San Francisco Museum of Modern Art; Houston Museum of Fine Arts; Art Institute of Chicago; Cleveland Museum of Art; New York Public Library; Whitney Museum of American Art, New York; Bibliothèque Nationale de France, Paris; and Museum of Modern Art, New York; among others.